CHARLOTTE (WTVD) -- Harriette Thompson - a 94-year-old grandmother from Charlotte who beat cancer twice and set a half-marathon record last June - died on Monday. The Charlotte Observer reports her son, Brenneman Thompson, said the three-time cancer survivor, was placed into hospice care after she was injured in a fall on October 6. He said the incident happened while she was delivering gifts to neighbors at The Cypress of Charlotte retirement community in SouthPark. 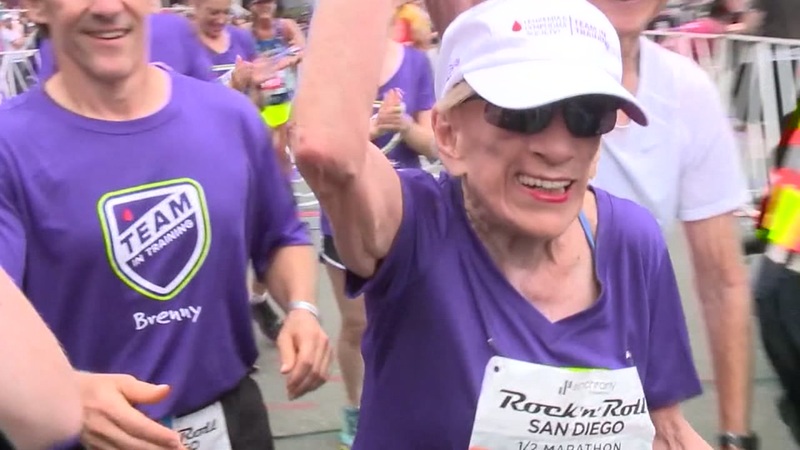 Thompson won the hearts of many back in 2015 when she became the oldest woman to complete a full marathon - she finished the 2015 San Diego Rock N Roll Marathon at age 92. She was a grandmother to 11.